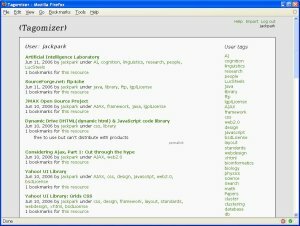 Tagomizer is a social bookmarking system similar to Delicious. Tagomizer is written as an application of a Subject Map Provider, TopicSpaces. The program was developed as a stand alone server to provide opportunities for learning in the wild for the CALO project.